As I'd mentioned in my last post, we just got back from a perfect 12 day Disney vacation (from 9/10-9/22). We spent two nights at the Art of Animation resort, 7 nights at sea on the Disney Fantasy, and another 3 nights at the Polynesian Resort. This vacation was truly epic. We've always had fun vacations but there's always been something that's gone wrong, or something that was frustrating. This trip was as perfect as I think we could get. Nothing went wrong. Austin was behaved (even if he had an occasional attitude of the "I am NOT going to do that" kind), the weather was nearly perfect, and we didn't miss out on anything we wanted to do. And let me tell you, 7 nights at sea (vs. the 4 nights we had last year) was absolutely wonderful. Anyway, let me dive into the trip. This will be wordy, but I'll try to limit the photos. We stayed at the Art of Animation resort first. We'd stayed there before, and loved the design of it (click here to see my post about this resort including lots of photos) but I wasn't overly thrilled with the service. It was still a value level resort, and I find that with Disney resorts, you get what you pay for. This time we were there for only two nights, and we decided to do this resort because a) Austin would love the Cars area and b) it was inexpensive. I do refuse to ever stay at the All-Star or Pop Century resorts again - they're just too crowded. We opted for a Little Mermaid room this trip, and I do like the way they decorate the rooms here. We grabbed some dinner and just walked around the resort the first night. We were able to catch a little bit of the Epcot fireworks from the bridge between AoA and Pop too. 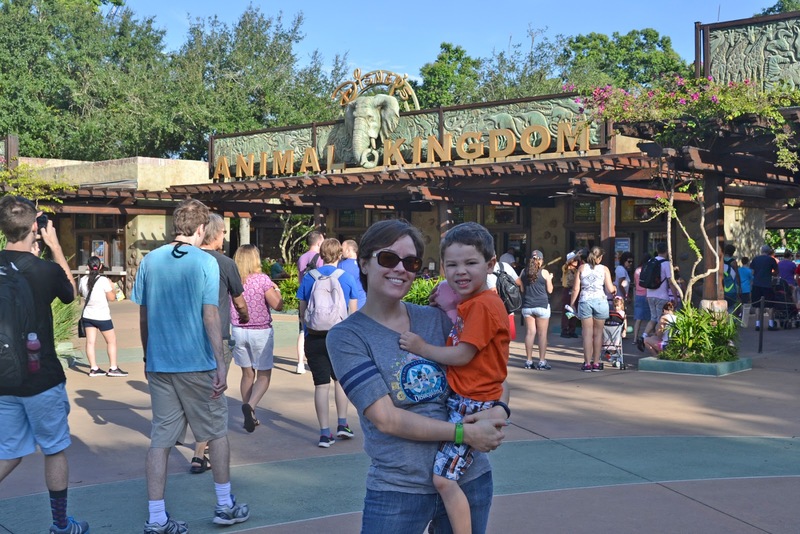 Friday the 11th we hit Animal Kingdom for the morning. 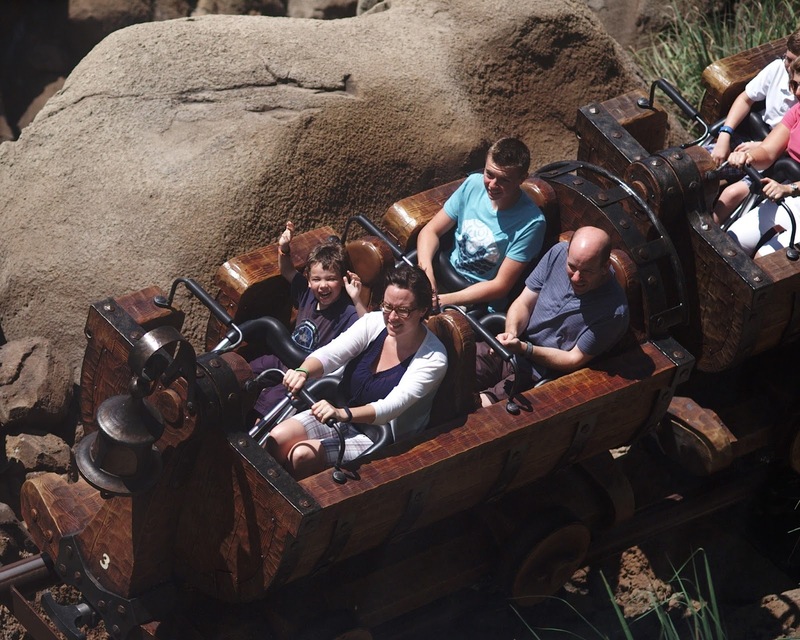 We were pleasantly surprised to find the crowd levels at the parks were extremely low (lower than I think I've ever seen) for the whole trip, so we were able to get on some rides several times in a row. We ended up using only one of our fast passes, for Kali River Rapids. When we hit the Safari, there was no line and we were pre-FP time, so we just walked right on. Strange, when we got off and were going to use our FPs, the FP line was about three times the size of the stand by line. Something seemed broken there. But our Safari ride was great - we had to stop for giraffes in the way, so we had some great views. We did bring Austin on Dinosaur but he ended up hating it, so we didn't use our fast passes for a second trip. After lunch at AK we went back to the hotel and took a swim in the pool. Austin was previously fairly terrified of being in the water. We had some issues when we were in Las Vegas and California where he refused to try his swimmies and insisted on a tube. However you can't use the tubes in the Disney pools, so we essentially forced the swimmies on him. Turns out, once he realized they helped him float, he was off and swimming by himself for the rest of the vacation. He had no fear of the water from that point on. He'd swim out way over his head, especially at Castaway Cay where he wore the Disney life vest, and loved every second of it. Victory! After our swim we headed downtown where we had dinner reservations at Splitsville. 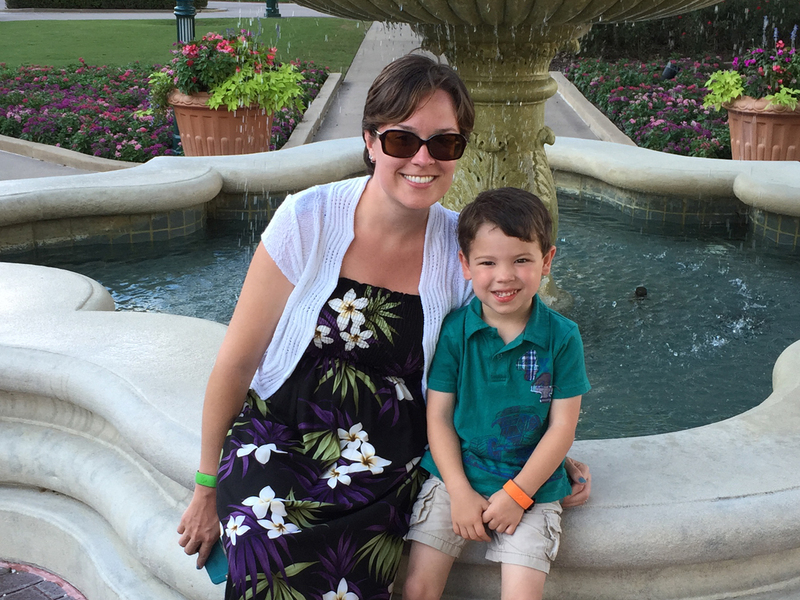 We dined and bowled (and their food is AMAZING) and then wandered around Downtown Disney. We caught a few of the musical acts and even a storm off in the distance, which was neat to watch. I managed to snap a short video from in front of the fountains - this is a screenshot. My shutter on my iPhone is not fast enough to capture lightening. The next day was when we embarked on our cruise. Last year we were driving ourselves, so we arrived at Port Canaveral super early, but this year we were taking the Disney Cruise Transfers shuttle. They picked us up just after noon, so we enjoyed sleeping in (except for the 8am collection of our luggage) and a late breakfast before having to leave. We also brought sandwiches with us for the bus ride, since I knew we would not be getting on the boat until just about when the buffet was closed. (And I was right - we made it on the boat at about 2:30). We had chosen our stateroom in the same location as the one we had on the Disney Dream. (The Aft, Starboard side). On the Dream we had 7650, on the Fantasy we had 7656. We like the proximity to the elevators, and it's one of the middle level decks, so it's fairly quiet (no night club music or anything to worry about). We've actually booked a Western Caribbean cruise for next fall on the Fantasy and chose 7654, so we are definitely fans of that side of the boat. Plus, it offers an amazing view of Castaway Cay when you dock. The room has a queen bed, two closets, two bathrooms (one is for the toilet, one for the bathtub/shower), a verandah, and a pull out couch for Austin to sleep on. I'm always amazed at the storage space too - we fit 3 large and 2 small suitcases, plus Austin's stroller, under the bed. There are so many places to tuck things away that you're not tripping over your luggage the whole time. 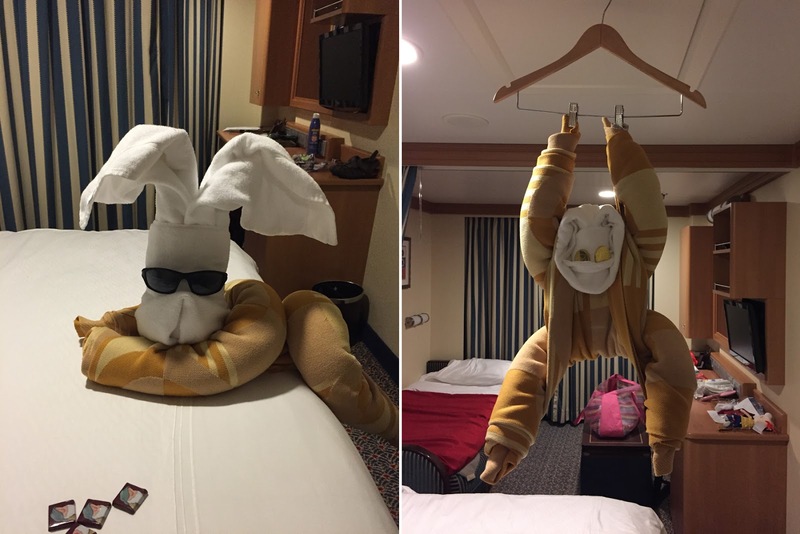 We had three days at sea this time, so we were able to enjoy a lot more activities than last time, and yet, there are still so many things we didn't get to do. Every day/night Brad and I had a few hours to ourselves while Austin played in the Oceaneer's Club and/or Lab. Those times we enjoyed the AquaDuck (Austin was 1/4" too short), the adult pool (one night we had it completely to ourselves for a whole hour), the very top of the ship deck, and a brunch at Palo (one of the adults only restaurants). Our table mates each evening were so nice! They had three boys - the middle one was Austin's age. We got along really well and just had a lot of laughs together each night. We ate at the restaurants in our rotation all but one evening, when we hit the Cabanas sit down for dinner. The restaurants are nice but often the dishes are fancier than I want to eat - just give me a burger and fries! I really enjoyed Cabanas that one evening we ate there - it was quiet and casual and much less crazy than the restaurants downstairs that are serving 500 people a meal. Austin and Brad did the detective game that's on the ship - you have to run around to these animated paintings all around the ship to get clues. We watched Disney movies in our stateroom - they have a bunch (or all?) of the Disney and Pixar library free on your stateroom TV, so we watched Beauty and the Beast and Toy Story. There wasn't enough time to do more than those! Every night I sat out on our verandah and listened to the water. Sometimes I read a book, but mostly I just listened. It is so peaceful as everything on the upper decks shut down and people go to bed. Eating breakfast (or lunch) at Cabanas while the water flows below. Puerto Rico. We had to make an unscheduled stop in San Juan to let a passenger who'd had a medical emergency the first evening off the boat. (If you ever hear a call over the loudspeaker "Bright Star," it means medical emergency...or supposedly, death, but I'm pretty sure that wasn't the case here). Trying to catch the sunset. On our last night, Brad and I went up to the pool shop to pick up some flip flops for Austin, and we met an amazing crew member who we ended up chatting with for over an hour. She told us some facts about the boat we didn't know. We talked about her home in England and about the Disney parks. She was super sweet and I was already going to leave a note on our comment card about her, but then we arrived back in our stateroom after, oh, a half hour from when we left her, and she'd left this incredibly nice note! That totally touched us. That, folks, is Disney magic, right there. We stopped at three ports this cruise - St. Maarten, St. Thomas/St. John, and Castaway Cay. In St. Maarten we didn't book any excursions because a friend from work has a timeshare on the island and she gave us suggestions on where to shop and eat. We went to a jewelry shop where I was able to pick up a pretty gemstone necklace and earrings, and then we had lunch at a lovely, but expensive, place on the beach called Holland House. After that we paid $20 and rented two beach chairs with an umbrella and free wifi, and we went swimming. 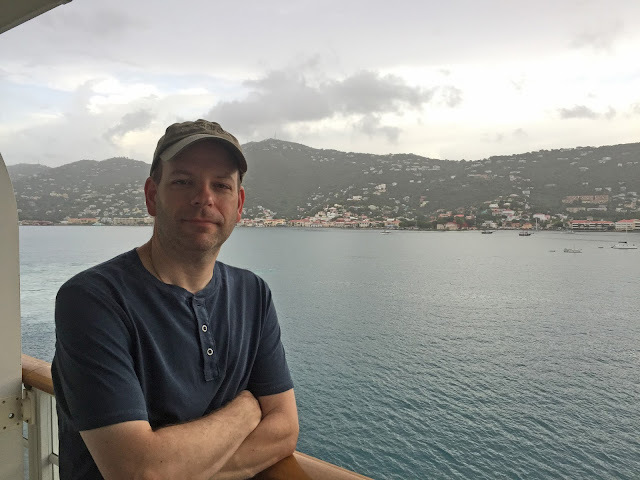 I will admit that I wasn't a huge fan of where we were in St. Maarten - the people on the streets and beach seemed a bit...pushy, and that's just not my style. (I'm one of those people who HATES when I walk into a Sephora and the staff ask me what I'm looking for. Just let me shop, please). But we did enjoy our day and lunch and it was nice to check that island off of our list. We docked the next day in St. Thomas, but took a boat over to St. John for a tour of the island. St. Thomas harbor is absolutely beautiful, and I hope to have another chance to explore that island one day, but St. John is just breathtaking. We took about a 45 minute boat ride over to St. John, on which we mistakenly sat in the front of the boat, outside, and nearly got knocked overboard by a wave. Ok, not that scary, but it was way windier than I expected. I couldn't even keep my camera out. The tour guide pointed out celebrity houses on St. Thomas along the way, which was really cool. St. John, one of the overlooks we stopped at. Austin says to Brad, "Selfie time Daddy!" He is so my child. The beaches. Oh the beaches. 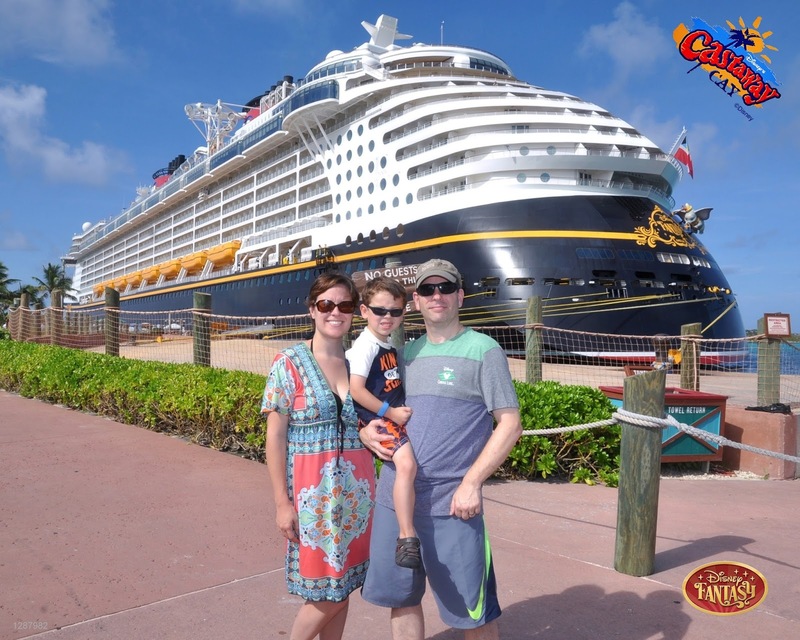 Our last day of the cruise, we stopped at Castaway Cay, which is my favorite thing about the Disney cruise. The island is gorgeous, and we spent the whole day in the water. Austin spent about an hour or so in the kids club on the island so Brad and I could head over to Serenity Bay (the adult side). We tried out the water slide and had lunch and just swam and swam. I was legitimately in tears leaving the ship on Saturday morning. I haven't felt that strongly about not wanting to leave a vacation spot in years. Probably since our honeymoon. I am so happy we're going back again next year, but I knew coming home would be insane due to all that's going on at work, and leaving the ship was so hard. Luckily we had three nights at the Poly so we didn't have to head straight to the airport or anything. I've never stayed at the Poly before. We booked the new DVC suites (for whatever reason, these were cheaper than staying at the Contemporary resort). The rooms are huge! And the resort is gorgeous! The pool is awesome, there's a view of the Magic Kingdom castle (and you get a perfect view of the fireworks at night, too - they even pump in the music to go along with it). And being right on the monorail is a huge plus. And and and! THEY HAVE DOLE WHIPS! Yes, there's some construction right now but other than one of the pools being closed, it really didn't impact us. We didn't hear any construction noise or anything. The first night at Poly, after enjoying the whole day by the pool, we had dinner at 1900 Park Fair at the Grand Floridian. This was a character buffet with Cinderella and Prince Charming, her stepmother and stepsisters. We really enjoyed this, as it's quite a bit smaller than the usual character buffets, and the food was pretty top notch. 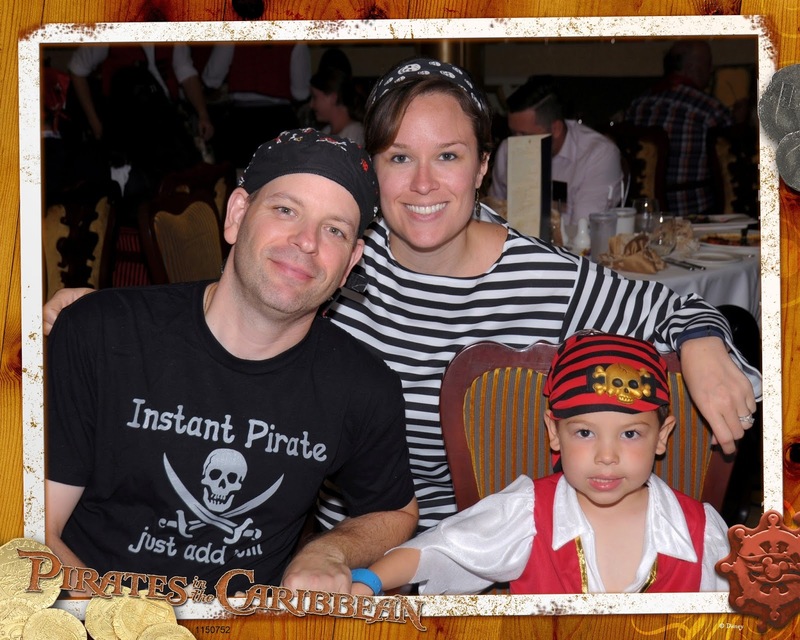 We put on our Pirate costumes again for the Halloween party. This year we watched the HalloWishes fireworks from Fantasyland, right behind the castle and beside the carousel. This is a perfect spot if you don't mind not seeing the show on the castle. The fireworks go off all around you, it's crazy! We also caught both parade times, though the second one we watched from back in Frontierland and that was much better. We were right in front, so we had a great view. 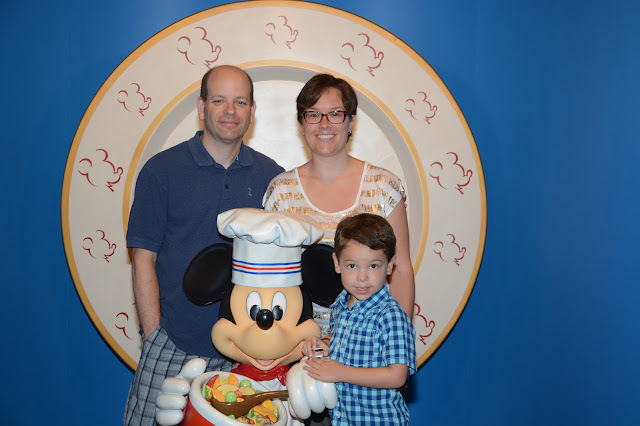 Our next day was spent at Epcot, but first we hit Chef Mickey at the Contemporary resort. We'd never done this particular character breakfast - it is, I think, the only one that has all 5 of the main characters. The buffet was quite good and we'd love to do that one again, it's just hard to get a decent reservation time. We had dinner at Tokyo Dining, which, to be honest, I wasn't impressed with. I think I'd expected better views of the fireworks, and unfortunately Austin was running a 102 fever, and I got hit with either a gallbladder attack or very, very bad indigestion as we were finishing dinner. I thought I was dying, my upper stomach hurt so badly. It started to die down and we left the restaurant to leave the park, and the entire walk to the exit I had to hunch over because I thought I was going to throw up from the pain. It was not good. I think at that point my stomach decided it had had enough vacation food. If you made it through this post, thank you so much for reading and checking out my pics. 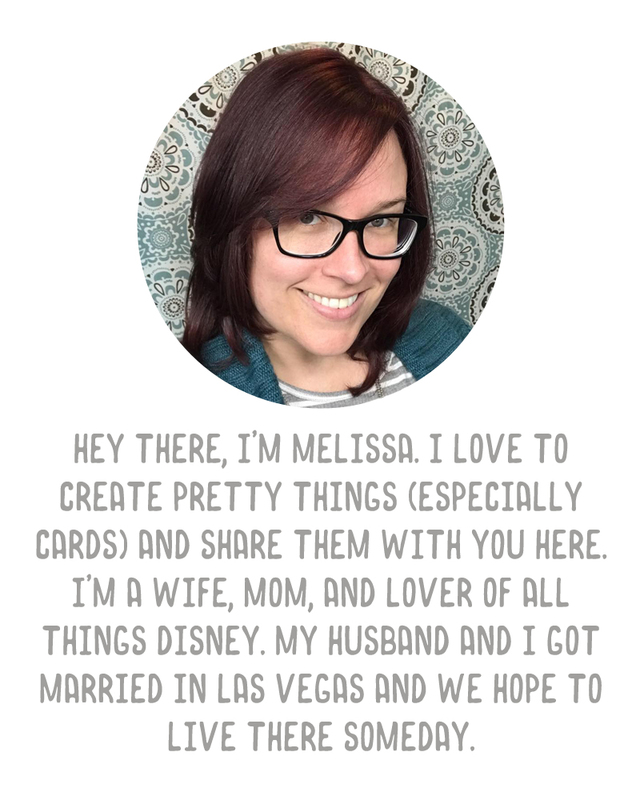 I'll share with you how I end up scrapbooking the trip - right now I'm intending on a 12x12 Project Life/pocket album for both cruises combined. This whole post made me smile! You guys look SO happy, healthy, and SKINNY! :-) You all will cherish those memories for a lifetime, for sure! There's nothing like a problem-free vacation! I'm so glad you had an awesome time, I sure had an awesome time reading about it! How old is your son? We have a 5 month old and are hoping at some point to do a Disney Cruise with her and do it when she will hopefully enjoy it. It looks like such a fabulous trip, I can't wait to go someday! He's four now, but he was 3.5 during our first Disney cruise. For babies to age 3, they do have a nursery that you can sign up for - there's a fee, I think, and you have specific hours because they can only have so many little ones at once. But once they are 3, there is one huge kids club that's free and open, pretty much, 9am to midnight every single day, earlier on port days, and you can drop them off whenever. I think they may require potty training for it, I can't remember for sure. But they have instructor led activities all throughout the day. Austin loves it! And there's so much character access too! Way more than you can get to in the parks. I think your daughter would love it! Wow, what an incredible vacation! I enjoyed living it vicariously!